Lost: Ben's time on the island hasn't been as easy as he's led everyone on to believe. Lost: Kate feels as though she has to give her love away to be happy. But who to? 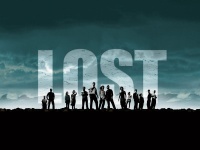 Lost: The survivors choose to live life the way they want to. Lost: A bitter-sweet Shayid vid. Lost: An angry/sad/happy Shayid vid. Based mostly on Abandoned. Lost: A Vid. in which I try to describe Shannon and Sayids relationship as best as I can. Lost: A vid. about Shannon. Lost: A Sayid/Shayid vid. Really cool, come watch! Lost: A sayid/shannon montage, with a twist.